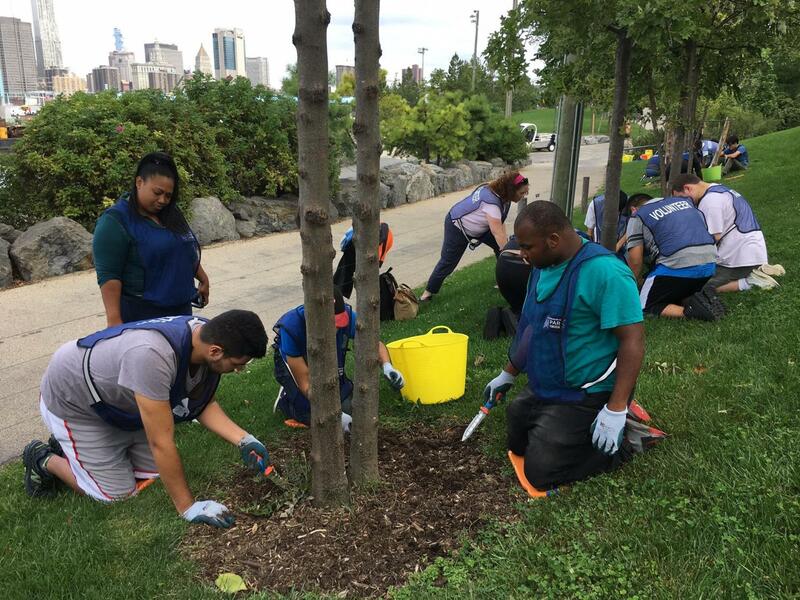 Here at Brooklyn Bridge Park we have many long-running volunteer programs, such as Green Team and Coastal Cleanups, which cater to individuals from all over the city. This year, Brooklyn Bridge Park Conservancy added a new program to its volunteer line-up: Park Peers, a program dedicated to volunteers living with disabilities. Over 40 Park Peer volunteers have helped keep the park beautiful and vibrant through their work this season. Park Peers was created with accessibility in mind—we wanted to provide the necessary resources to ensure all volunteers were comfortable. 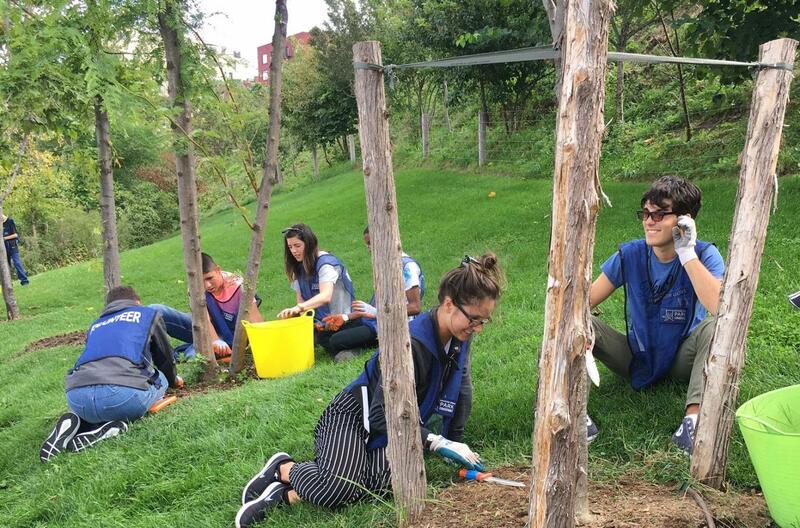 Community organizations that serve people living with disabilities bring a group of volunteers to lend a hand in the park. Participants are given a guide before they enter the park, which provides them with an overview of what to expect when they visit. The goal of Park Peers is to provide volunteers with skills that can be used in a professional setting; to that end, their hours can be used for job or college applications. Park Peers runs in two separate six-week courses, one in the spring and one in the fall. Volunteers meet once a week to perform different tasks throughout the park—from gardening and maintenance to administrative tasks for events. Because of the variety of tasks available, they get to experience all the different aspects of the park. At the park, we encourage everyone to lend a hand and to get involved with our programs. If you are a part of a group or organization interested in Park Peers for the next spring session, check out our volunteer page for more information about registering.